SOS, MMA and FXI welcome the news by Jimi Matthews that he has resigned. As we explained to Mr Motsoeneng on Friday, it’s never too late to do the right thing. Sadly, in that context Mr Motsoeneng declined to do the right thing and we all watched on in horror and cringed as the SABC’s legal team put forward shallow unsubstantiated and at times, nonsensical arguments, including admitting that the SABC COO doesn’t believe in scientific research. 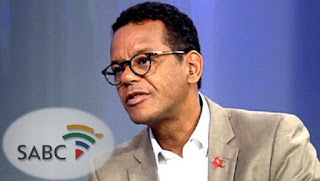 What is clear from Jimi Matthews’ letter is that there is truth to the reports of a serious clamp-down on the State-owned, national public broadcaster, and a deliberate misinformation campaign the likes of which we haven’t seen since under the apartheid era. Our own sources have been telling us about bans on content on stories on issues and process, as well as bans on the SABC’s staff’s right to comment on the political developments in our country both on air and in their private capacities. To this extent the letter clearly and unambiguously signalled the alarm to all those who care for our democracy that censorship is alive and well at the SABC. Initiate the process towards the dismissal of Mr Motsoeneng who is the singular cause of the rot in the SABC effective immediately. Undertake a robust, independent and depoliticised public inquiry into the causes of the decade-long crisis of the lack of independence, good governance and stability in the leadership of the SABC.